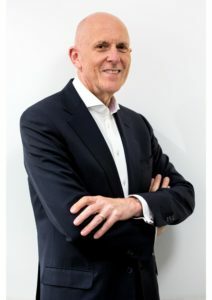 Andrew Jennings is a senior retail executive with more than 45 years of leadership with some of the world’s most respected high-end, speciality and department stores, including Harrods and House of Fraser in the UK, Brown Thomas, Ireland, Holt Renfrew, Canada, Saks Fifth Avenue, USA, Woolworths, South Africa and Karstadt Group, Germany. Recognised for his leadership and performance-driven management style, Andrew is sought-out for his vast knowledge of consumer trends and retail practices in both mature and emerging markets. He has distinguished himself in six countries and on four continents with his agility in translating traditional business models into modern retailing in an increasingly fastpaced world of change. Andrew is passionate about brands, breakthrough marketing and the creation of memorable consumer experiences. Key to his sustained success is adapting his approach to address the challenges and opportunities presented by dynamic trading environments at pivotal stages in their evolution, from the sophistication of London to the new world complexities of South Africa. Andrew is now permanently based in London working with retailers, private equity companies and consulting groups as a senior retail advisor, chairman and board member. He is also Chairman of the Prince’s Trust Retail Leadership Group.